I first discovered ‘Mokuba Free Lace’ last year in Tokyo and thought it looked interesting. There were some beautiful lacy scarves on display next to the product but I couldn’t read the instructions as they were in Japanese! i bought the Free lace anyway. Getting it home, I looked up the product on the Internet and found some instructions. I had never heard of water soluble fabric but this is what it is. It consists of an adhesive sheet of non-woven fabric and a film sheet. 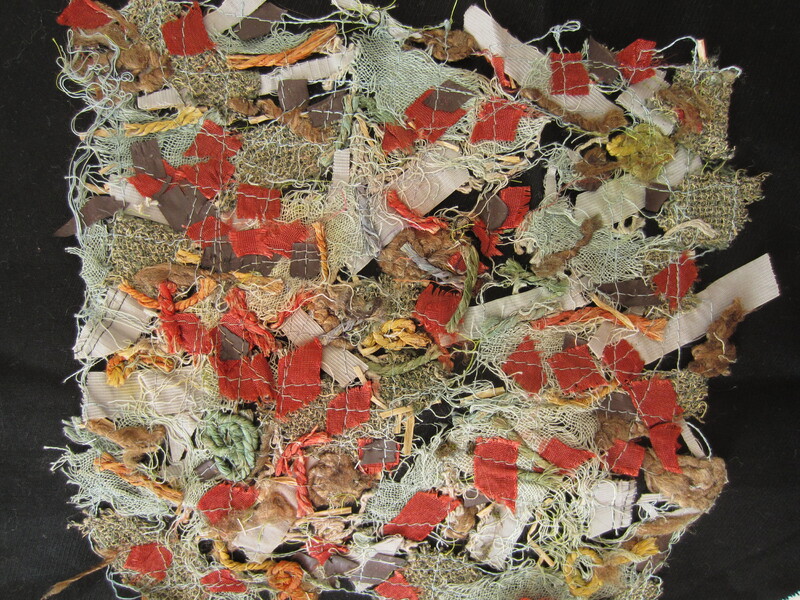 I applied a load of fabric scraps, cut up into small pieces and then sprinkled them onto the adhesive sheet and placed the film sheet over the top. I machine-stitched a grid over the whole sheet so that all the fabric snippets were joined in a lacey web. 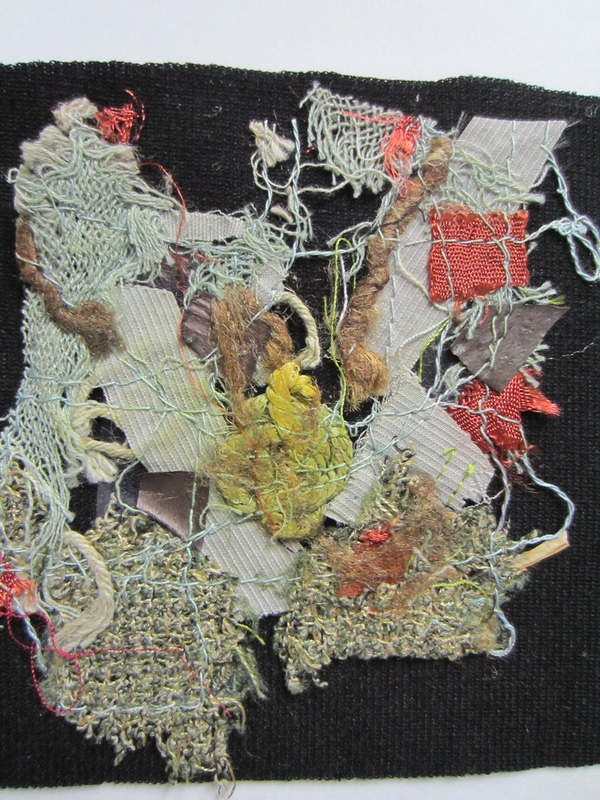 The last stage was to soak the piece in water to dissolve the adhesive – and I was left with a lovely piece of lacey fabric. I put this to one side and forgot about it until I was working on Stage 2 and my photo of the leaves on the grille. I was thinking that the Free Lace would be a good material to use to represent the leaves over the grille. I dug out my old piece and lay it down over a solid black piece of fabric. The colours were just right! 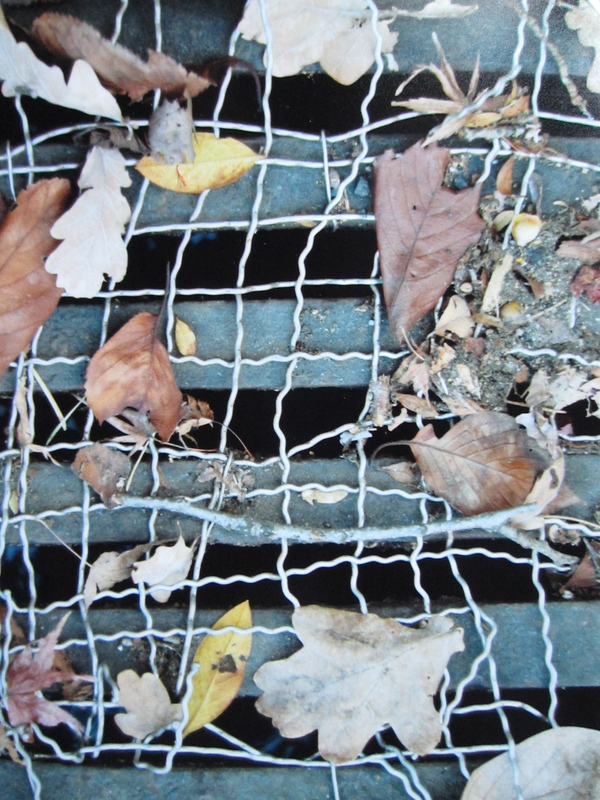 The scale was all wrong but when I (bravely) snipped a piece off and laid it next to the photo – I was happy that it captured the colours and fragility of the leaves against the murky dark depths of the drain! I would love to experiment more with this fabric and recently sourced a very large Sheet of Mokuba Free Lace – I am looking forward to finding a project to use it on!